Some days it feels like we’re at the end of the sandwich road. What next? Put chicken leg between bread? But other days we dip into classics and re-imagine their possibilities. Case in point: vanilla almond butter borders a split of blueberry and strawberry jelly. 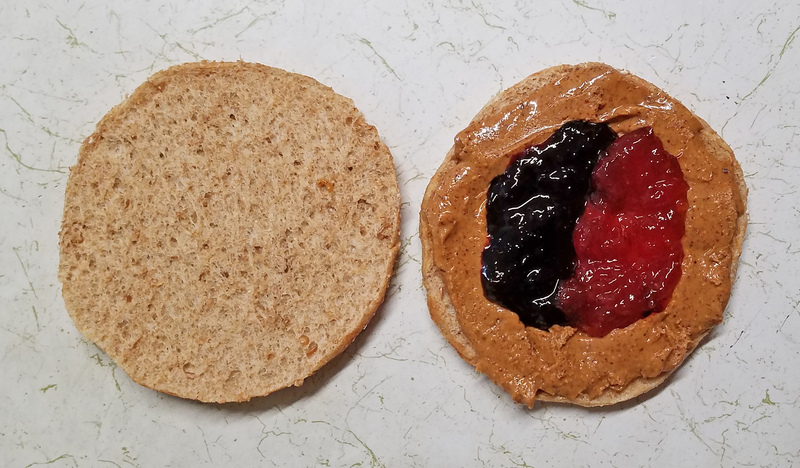 Finally, when the bong between bread and almond butter is forged, jelly will no longer leak out of the side when under pressure. Innovation. Planning. Developing. There are still discoveries to be made.